Lip Rescue keeps lips hydrated all day long. 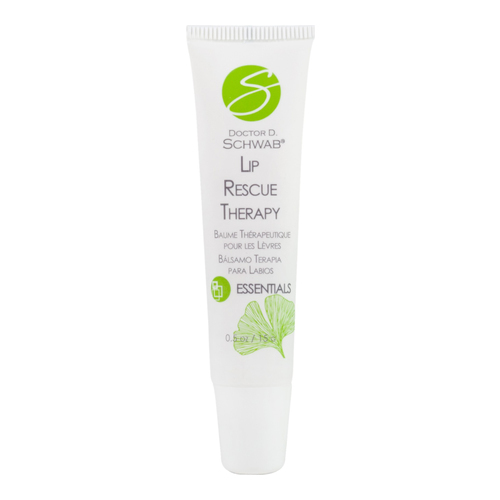 The ultimate rescue from chapped and dehydrated lip conditions! The softening and hydrating properties of Aloe Extract, Sweet Almond Oil, and Evening Primrose Oil keep lips moisturized and supple. Arnica Extract and Vitamin E condition and soothe cracked lips, while natural Beeswax seals in essential moisture. Hydrogenated Vegetable Oil, Carthamus tinctorius (Safflower) Oil, Prunus amygdalus dulcis (Sweet Almond) Oil, Olea europaea Husk (Squalane) Oil, Bis-Diglyceryl Polyacyladipate-2, Natural Beeswax, Aloe barbadensis Gel, Phosphatidylcholine, Glyceryl Stearate SE, Glycerin, C12-15 Alkyl Benzoate, Glycine, Oenothera biennis (Evening Primrose) Oil, Cereus grandi florus (Cactus) Extract, Prunus armeniaca (Apricot) Kernel Oil, Octanoic Acid, Arnica montana Flower Extract, Persea gratissima (Avocado) Oil, Melissa officinalis (Balm Mint) Extract, Citrus aurantium dulcis (Orange) Oil, Tocopherol Acetate, Retinyl Palmitate (Vitamin A), Ascorbyl Palmitate (Vitamin C), Tetrasodium EDTA, Oxy CA (Rosmarinus officinalis Leaf Extract CO2 and Ascorbyl Palmitate and Caprylic/Capric Triglycerides and Ascorbic Acid and Tocopherol and Citric Acid). Apply generously to your lips whenever moisture is needed.